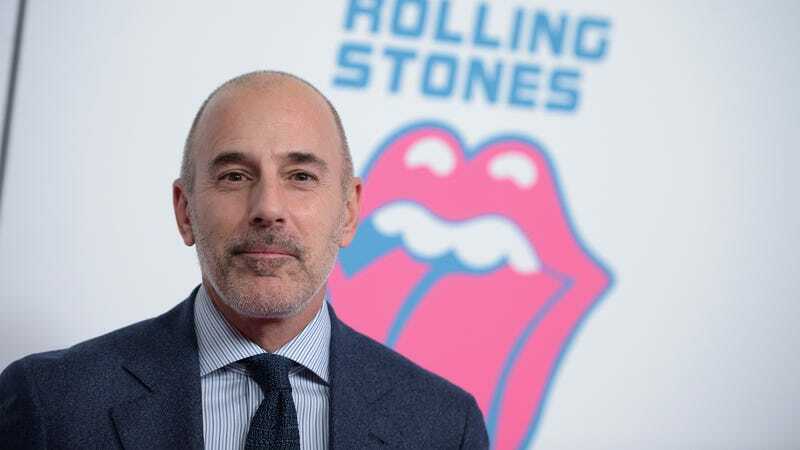 But the experience quickly soured once Matt Lauer, who was “in his 40s and newly married” at the time, asked her to lunch to chat about her career. Much to Zinone’s surprise, he had no intention of keeping things professional and began “aggressively hitting on her.” The two then began a brief sexual relationship, one Zinone says completely changed the course of her life. When I left Today, I was so distraught. One night a few weeks later, I’m anchoring the local news in West Virginia. I finish, get in my driveway and there was a reporter from the National Enquirer waiting for me. Holy crap. What’s happening? I reach out to Matt in an email. He wrote back, “Who did you tell?” After that, he completely ghosted me. He left me to handle all this on my own, which I did. I told the National Enquirer that Matt and I were just friends. Zinone says her experience with Lauer held her hostage. “I was under his spell,” she says. “It was all-consuming. I couldn’t focus. I couldn’t concentrate.” Embarrassed and ashamed, she eventually quit her career in broadcast journalism and joined the army. You can read her full story at Variety.